I picked this issue up as a gift for my subscription to FARMS. This is, in my opinion, the best number of the review (that I have read all the way through) to date. With 21 reviews or articles, spanning across more than 500 pages (including the pages numbered with roman numerals), this issue is huge! The entries cover a vast array of topics related to Mormonism, from early LDS history, Mormon theology/philosophy, Evolution, DNA research, and the “New Atheism,” to Old Testament studies, textual criticism, comparative apologetics, and parenting. An interesting thing about this issue of the Review is that is contained a lot of non-review articles (9 total), most of which I feel represent the most interesting studies in this issue. 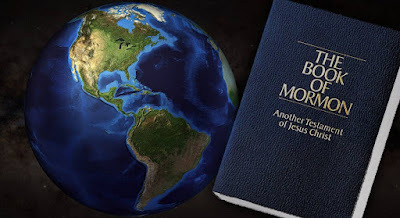 David Bokovoy, “The Bible vs. the Book of Mormon: Still Losing the Battle,” a review of Joel P. Kramer and Scott R. Johnson, The Bible vs. the Book of Mormon (DVD, Brigham City, UT: Living Hope Ministries, 2005), pg. 3-19: Bokovoy brings up some interesting parallels between the Book of Mormon and ancient Israelite themes and motifs that would have been difficult (to say the least) for Joseph Smith to know and replicate. John M. Butler, “Addressing Questions surrounding the Book of Mormon and DNA Research,” pg. 101-108: Butler offers his responses to some frequently asked questions about the Book of Mormon and DNA. David G. Stewart, Jr., “DNA and the Book of Mormon,” pg. 109-138: Stewart argues that the “traditional Latter-day Saint position,” which identifies all Native Americans as “Lamanites,” does not necessarily need to be abandoned due to the supposed DNA “evidence.” In the process, Stewart responds to some of the arguments made by Thomas W. Murphy. John S. Welch, “Keeping the Old Wine in Old Wineskins: The Pleasing (Not Pleading) Bar of God,” pg. 139-147: For those who think that FARMS (or at least the Review) is solely dedicated to apologetics, the presence of this article is bound to mystify them. In this article, Welch directly challenges (and quite sharply criticizes) the arguments made by Royal Skousen regarding a particular conjectural emendation to the Book of Mormon in the critical text project (a project being sponsored and published by FARMS). Note: This author ought not to be confused with John W. Welch, the founder of FARMS who is also a frequent contributor to the Review and other FARMS publications. Daniel C. Peterson, “Authority in the Book of Mosiah,” pg. 149-185: Peterson reviews the role that priestly and kingly authority play in the book of Mosiah, arguing that the priesthood functioned much the same then as it does now. In the process, he responds to arguments made to the contrary by Paul James Toscano. Royal Skousen, “Conjectural Emendation in the Book of Mormon,” pg. 187-231: Skousen gives some background on the Book of Mormon critical text project, explains the process of conjectural emendation, discusses some of the conjectural emendations that have been recommended, some of which have been accepted while others have been rejected; and although he does not mention Welch or his article directly, he responses to the arguments Welch makes in the above article. To read the two articles together makes for an interesting dialogue. Michael D. Jibson, “Imagine,” a review of Sam Harris, The End of Faith: Religion, Terror, and the Future of Reason (Second Edition, New York, NY: Norton, 2005), pg. 233-264: Jibson critiques Harris’s attempt to pin all conflict and violence on religion via the authority of neuroscience. Larry E. Morris, “Joseph Smith and Interpretive Biography,” a review of Dan Vogel, Joseph Smith: The Making of a Prophet (Salt Lake City, UT: Signature Books, 2004), pg. 321-374: Morris explores some of the assumptions that underlie Vogel’s methodology, and examines how those assumptions slant his analysis by contrasting the way Vogel retells the story of Moroni’s visit with the way Richard L. Bushman retells it in Joseph Smith: Rough Stone Rolling. Like Ashurst-McGee, Morris also provides a sort of “postscript” in which he responds to comments made by Vogel (which were directed at Morris) in the afore mentioned dialogue on the “angel vs. treasure guardian” debate. Paul Y. Hoskisson, “Aaron’s Golden Calf,” pg. 375-387: If you have ever wonder how Aaron could so easily slip-up and let the people build and worship an idol, Hoskisson has some answers for you. Hoskisson provides some fascinating research regarding the significance and symbolism of the golden calf in ancient Israelite and other Near-Eastern contexts. Daniel C. Peterson, “Mormonism as a Restoration,” pg. 389-417: Peterson reviews some of the evidence that the Book of Mormon, the Book of Abraham, and unique LDS doctrines are “restorations” from ancient origins. For anyone just beginning to take interest in LDS apologetics, this is a good place to start as it provides a great introduction and summary of the research and evidence that has been produced thus far. Stephen D. Ricks, “Dexiosis and Dextrarum Iunctio: The Sacred Handclasp in the Classical and Early Christian World,” pg. 431-436: Ricks goes over the significance and symbolism of the “sacred handclasp” in ancient Greek, Roman, and Christian traditions and art work, particularly marriage traditions. Anyone familiar with LDS temple practices and marriage ceremonies will understand the relevance this has to Mormon studies. On the whole, this issue of the Review offers its readers a rich and satisfying exploration into many aspects of Mormon Studies. The many of the studies listed above are, in my opinion, on a must-read level for anyone interested in the respective topics covered by each article or review. Specifically, I would say that the articles by Ashurst-McGee, Stewart, Welch and Skousen, Morris, and Peterson’s second piece (for beginning apologists) are must-read in each of their respective topics. The first contribution from Peterson, along with the articles by Hoskisson, Ricks, and Bokovoy are important additions to Mormon studies. I highly recommend this entire issue to any and all interested in engaging Mormonism on an intellectual level. I think your "Reviewing the Review" series is an excellent idea and I'm very glad you are doing it. Thanks. Thanks for the feedback, James. I'm really enjoying it myself. Like I said when I announced this, it is more for me (too be able to keep track of what I have read) than anything else, but I hope it can benefit others, as well. I hoping to eventually extend it to the JBMS and Studies in the Bible and Antiquities. I've thought about what I would call those series; I could just call them "Reviewing the Journal," and "Reviewing the Studies," but those don't sound as clever as the "Reviewing the Review." I've also thought about calling them "Journaling the Journal" (it would be "journaling" in the sense that I am recording my thoughts on each issue) and "Studying the Studies," but I wonder if there is something better I could call them? Any thoughts? A name for the series isn't the only thing holding me back. I have several volumes of the Review, while I only have one volume of Studies, and (until recently) two issues of JBMS (though I just bought 3 more, so maybe I'll soon start working on reviewing those), so the Review gives me more to work with and having read more issues allows to better contextualize the 1-5 rating. I also really enjoy reading the review more because it provides such diverse essays on so many different topics within "Mormon Studies." There is literally something for everyone in most volumes, and for people like me, it is exciting to explore and learn about so many different things.